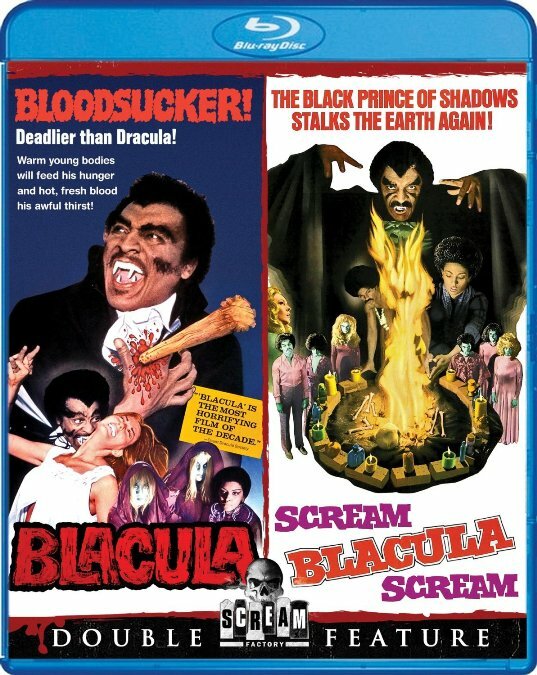 Digi-Schlock: BLACULA/SCREAM BLACULA SCREAM (Scream Factory Blu-Ray) – Schlockmania! The first part of 2015 feels like a renaissance time for American International Pictures productions on blu-ray, with a variety of companies digging into their back catalog to bring a lot of exploitation favorites into the high-def realm. 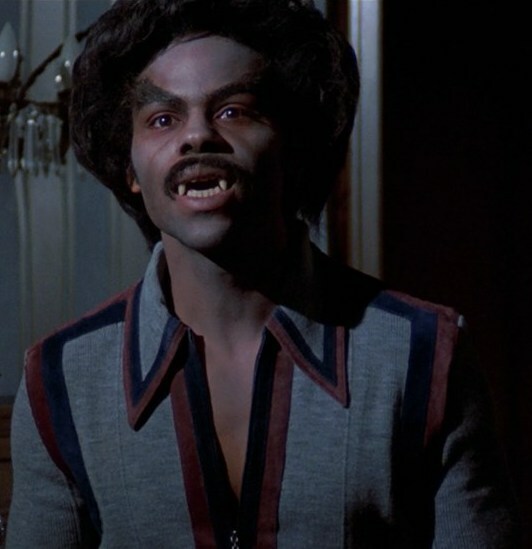 Scream Factory just dipped into that vault to produce a two-for-one blu-ray of Blacula and Scream Blacula Scream. The results look good and throw in a few special features to sweeten an already cost-effective deal. Both films look impressive on this blu-ray: the colors are vivid, black levels are solid and the textures have a proper celluloid quality that hits the right balance of grain and fine detail. The original mono mixes for each film are presented in lossless form and both sound nice and smooth, with an effectively blended yet punchy combo of dialogue, music and effects. In terms of extras, both films include an image gallery and a theatrical trailer. Each image gallery is packed with a variety of stills, lobby cards, publicity photos and poster art for each film. Each has the occasional surprise, like a shot of rainbow afro-wigged vampire in the Scream Blacula Scream gallery. Both trailers are killer vintage exploitation spots that exploit each film’s shocks and layer on plenty of hard-sell narration. Each film also includes a unique bonus features of its own. On Blacula, there is a solo commentary track by author and blaxploitation expert David Walker. The results are informative but often held back by Walker’s negative attitude: while he claims to be a fan of the film, he devotes a lot of time to picking apart the film’s technical and budget-related flaws in great detail. He also catcalls the work of director William Crain, who he admits he has a grudge against. It’s a shame he cheapens the track with this kind of excessive negativity because otherwise it has a lot to offer. For example, there is a lot of biographical detail on William Marshall, Thalmus Rasulala and other cast members. Walker also gets into some fascinating political-themed analysis in the last twenty minutes, making a case for Blacula as an allegory for the black man’s experience in America. It’s good enough to make you wish Walker didn’t spend so much time pedantically goofing on the rest of the film. Scream Blacula Scream has an interview with star with Richard Lawson in its extras. It runs just over thirteen minutes and finds this actor relaying plenty of info in a laid-back, likeable style. He reveals he was the second choice for his role, talks about his castmates and his thoughts on the Blacula films. He shows a charming humility as his discusses his fond memories of the shoot, making this worth a watch for fans. In short, this double feature of Blacula and Scream Blacula Scream delivers nice transfers of these A.I.P. favorites in a cost-effective package that is further enhanced by a few extras. Fans of ’70s horror and blaxploitation will want to add it to their blu-ray shelves. 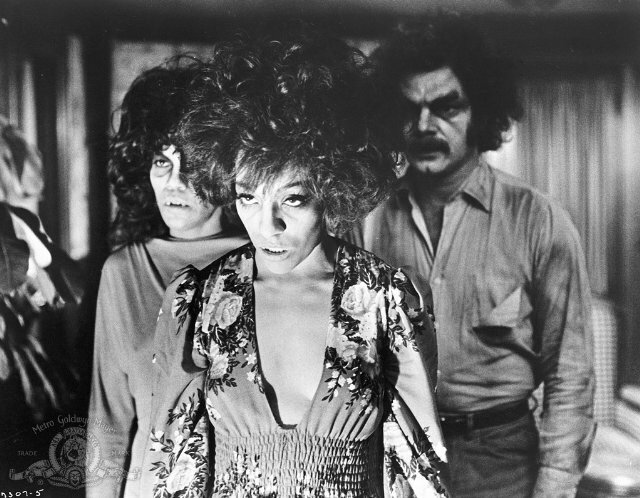 To read Schlockmania’s film review of Blacula, click here. To read Schlockmania’s film review of Scream Blacula Scream, click here. One thing, I dont know if you had the problem, but my BD copy chapter select wasnt synced in neither movie. None of the pictures representing the scene actually took you anywhere near. Sometimes I had to skip 2 chapters to get where the scene should have been. No biggie but considering the DVD was spot on, the chapter select should not have been flawed.